Christmas is such a fun time to be a teacher, but it’s also really stressful. Snow days, finals, schedule changes, and excited students make this month especially hard. 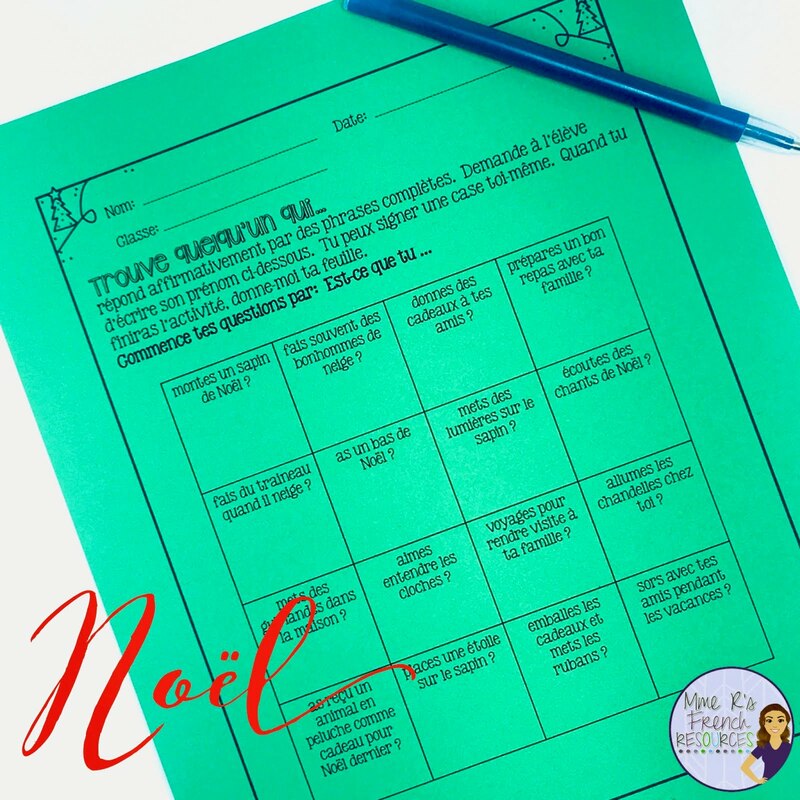 Quick and ready-to-use activities are a must, but you still want to keep teaching, so find some things that are engaging, interesting, and perfect for the season. Students love speaking activities, and I think they are a huge stress-reliever when things are super-busy. Here are some of my favorite speaking activities for Christmas. 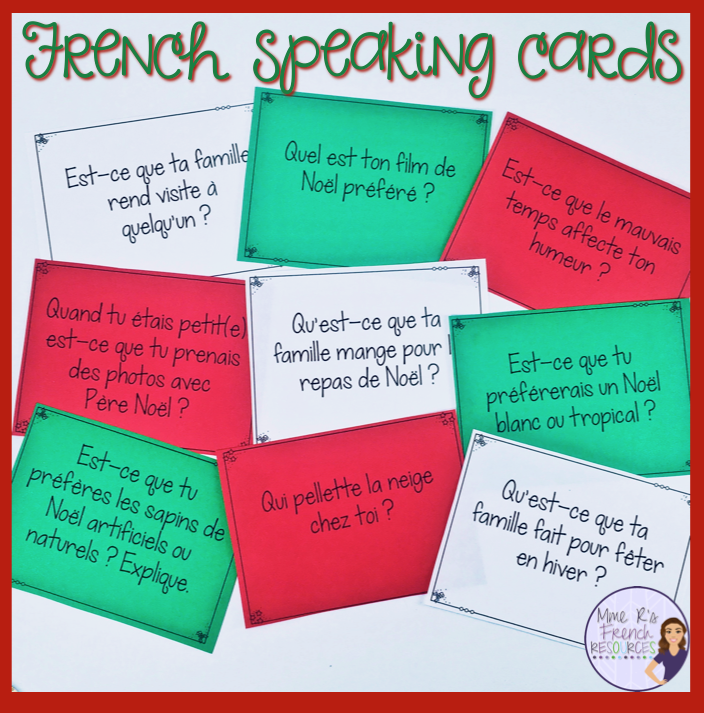 Speaking cards are always a favorite in my class, and this set is really versatile! There are 64 cards in all with a mix of basic cards for beginners and more advanced cards for levels 2 and up. 15 cards are specific to Christmas and the rest are winter-themed. 2. J’ai… qui a …? This game is so great for listening comprehension, and it’s a good tool for visual learners! 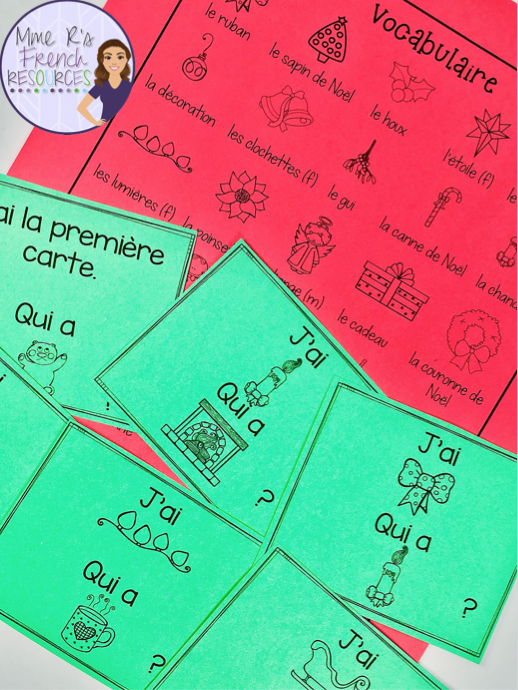 Two vocabulary sheets are included : a sheet with French/English translations and a sheet with the images shown below. It includes 30 cards so it can be played in big classes. In classes with more than 30 students, simply pair up a few students, and in classes with less than 30 students, some students will have two cards. This is one of ther quickest ways to get students speaking, and all that movement is a huge bonus! 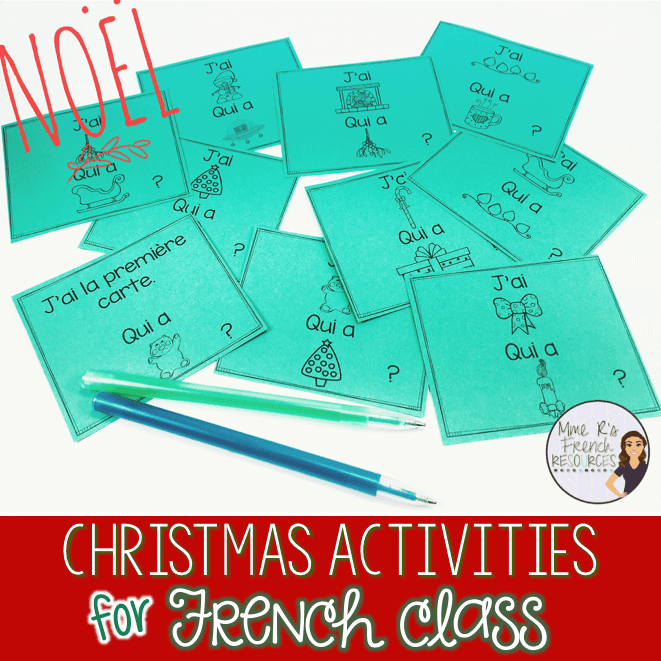 This activity is in my Christmas pack, full of other fun ways to practice their Christmas terms! Find all my Christmas resources here.